Cannabutter is a vital ingredient in most cannabis recipes. If you want to make top quality cannabutter the key is ‘low and slow”. Cannabutter is one of the most important ingredients in cannabis edibles. While making cannabutter is not hard, it does take some time and dedication. Those hoping to simplify the process may want to consider a MagicalButter machine, which saves time and labor in the long-haul. In a large saucepan, bring the butter and water to a rapid simmer (just below a boil—the liquid will be active, with small bubbles consistently rising to the surface) over medium heat until the butter melts. Reduce the heat to low and bring the mixture to a slow simmer (there will be very little movement in the liquid, with small bubbles occasionally rising to the surface). Do not let the mixture boil. Cook for 5 hours, stirring every 90 minutes or so. Add additional warm water if needed (you don't want all the water to boil off). While the butter cooks, line a strainer or sieve with cheesecloth and place it over a large glass bowl. After 5 hours, pour the butter slowly through the cheesecloth into the bowl. Press down on the cannabis with a spatula to extract all the butter. Fold the cheesecloth, and use the spatula to push any remaining Cannabutter into the bowl. Discard the cheesecloth. Cover the bowl with plastic wrap and refrigerate it for at least 3 hours (overnight is better). The mixture will separate into solid butter and liquid water. Remove the butter from the fridge, discard the water, and slide a butter knife around the edges to remove the Cannabutter from the bowl. Transfer the butter to a glass jar with a lid and store it in the fridge or freezer. Hoping to make this whole process easier? Investing in a MagicalButter machine can save time, hassle, and makes a perfect batch every time. 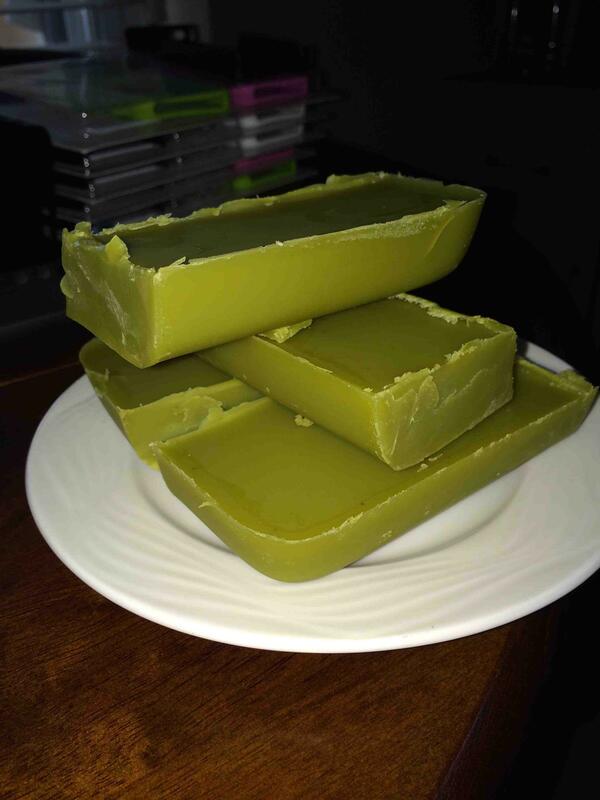 If you plan on using cannabutter frequently, we highly recommend it!